College can be expensive, and if current trends continue, it will not get cheaper any time soon. You might have just made the last payment on your student loan, or have a few payments remaining, but it is never too soon to think about a college savings plan for your children. Putting away money in a college savings plan can have present tax benefits, and will create financial security for your kids in the future. If you are thinking of establishing a college savings plan then a 529 plan might be right for you. A 529 plan is a savings plan operated by a state or educational institution with tax and other financial advantages. This plan makes it easier for parents, grandparents, or guardians to help their children or grandchildren pay for college or other post-secondary schooling. Like other college savings plans, a 529 plan allows college savers (account holders) to establish a savings plan for a student (beneficiary) for the purpose of paying for the beneficiary’s eligible post-secondary expenses. As with most savings plans, the account holder will choose among different investment options such as stocks, bonds, and mutual funds. The account is managed by a third-party and withdrawals can be made at any time to pay for qualified education expenses for the beneficiary. Anyone may establish a 529 plan and name anyone as the beneficiary: children, grandchildren, relatives, friends, strangers, and even yourself. This means that you can potentially establish, fund, withdraw and pay your own qualified education expenses. 529 plans are popular among college savers because they offer tax-free income on investments. This means that the accumulated interest, dividends, and capital gains on the initial contributions will be tax free if they are used for qualified education expenses such as tuition, fees, books, and even room and board. Although the income from 529 plans are not taxable, contributions to a 529 plan are non-deductible for tax purposes. How Will 529 Plans Impact Financial Aid Eligibility? Although some institutions treat assets in a 529 plan differently, most institutions consider 529 plans when calculating parental assets. This means assets in a 529 plan will, in most cases, reduce the eligibility for need-based financial aid. One way of investing in a 529 plan is by purchasing a college savings plan through a broker. However, 529 plans purchased through a broker are subject to additional fees. Investors will generally pay a ‘load’ which is essentially a commission paid to the broker. Broker sold plans also charge annual distribution fees, maintenance fees, asset management fees, and additional fees for each asset class. To avoid these fees investors may choose to invest in a Direct-Sold College Savings Plan. States offer these college savings plans for residents and non residents as an alternative to Broker Purchased College Savings Plans. These allow investors to directly invest in a 529 plan without paying broker sales fees. To learn more about these plans visit College Savings Plan Network’s website. 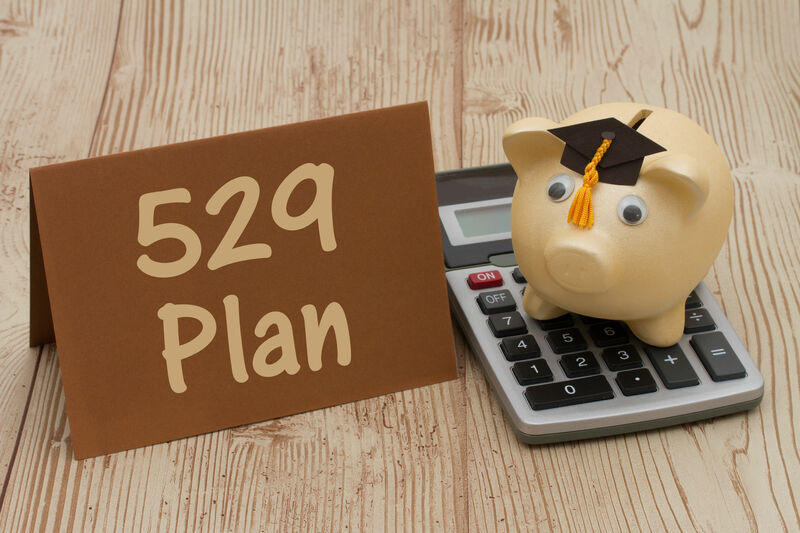 Like any other savings plans, the question of whether or not to establish a 529 plan is ultimately an investment decision that should be considered with a financial adviser. You should consider your overall financial position before investing in a 529 plan. If, however, a 529 plan meets your financial road-map then investing in a 529 college savings plan can be a great tool to help pay for future education expenses.